I traced it out on Sunday night and would have sewn it too, but for two obstacles. The new show Walking Dead was on and I was too distracted by zombies to sew that night. Word. However, last night was a new night and I did several things that ensured this top would end up a wadder. I just picked a random vanity size, sz 38. Because that’s what Karen made, so that’s what I made. Must. remind. myself. that. I. am. a. Burda. sz. 40. Repeat. I did not wear my reading glasses and therefore did not realize I was sewing the shirt with the wrong side facing out. I forgot to stabilize the shoulders. I tapered the sleeves at the wrist like Eugenia, forgetting that my wrists aren’t fairy-like. It seemed like a good idea at the time. I forgot that I don’t like turtlenecks. To be fair to myself, I didn’t actually forget as much as ignore. 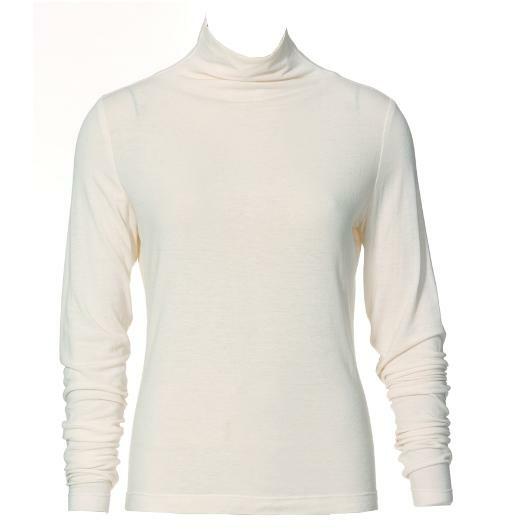 Karen had mentioned that this top wasn’t a true turtleneck since the neck is cut on and not separate. I thought that meant I would like it better than a turtleneck. But combine a quasi-turtleneck neck with too tight of a fit and it’s the perfect storm for Elizabeth to hate it. I hate having my neck covered and don’t like any fabric to rest on my clavicles ever. Which is why all my t-shirts have misshapen necklines now, because I tug and pull at them to get them off my neckline and clavicles. I’m not going to bother with a review since my viewpoint is all personal about the pattern ﻿rather than objective. In general, it’s a good pattern. 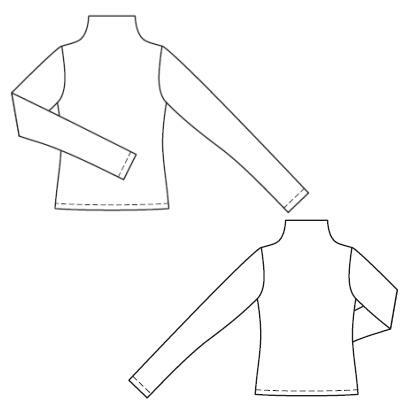 It’s drafted as well as it can be with a cut on collar (i.e., it’s not going to look fantastic because that causes wrinkling at the neck no matter how perfect the fit for you). Just know that the sleeves are incredibly long while also being extremely slim fitting. 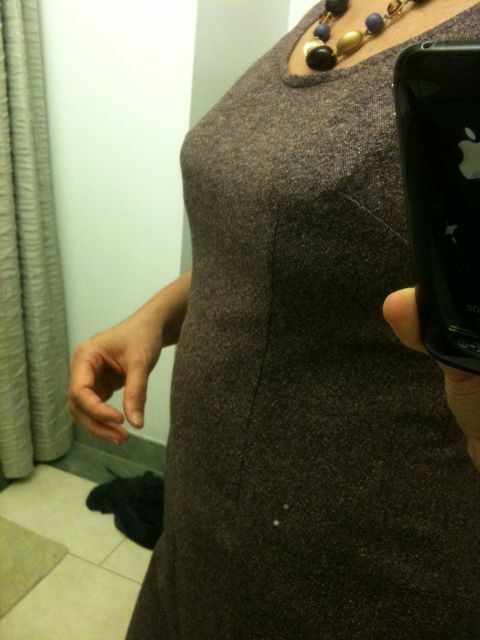 If I were to make this again, I would widen the sleeves in the bicep area and shorten the sleeves by 2 inches. Oh what the heck, I guess I will review it on PatternReview anyway later tonight. We’ll see…. Here’s to wadder-free sewing for you all!